Perhaps there was a shimmer on the Appledore Estuary and an early morning mist rising into the trees. This was a wild and desolate place and no doubt a strong breeze was already pulling at the water as men and horses prepared for the final few miles to Caldbec Hill. South of the causeway, the old Roman road drew the eyes up the hill between the trees of the forest, an arrow pointing towards the imminent battle. This was Harold’s route, the fast route for a small and agile force that would take the ferry across the wide Estuary at Sedlescombe, but not for the main army who will divert via Cripps Corner. 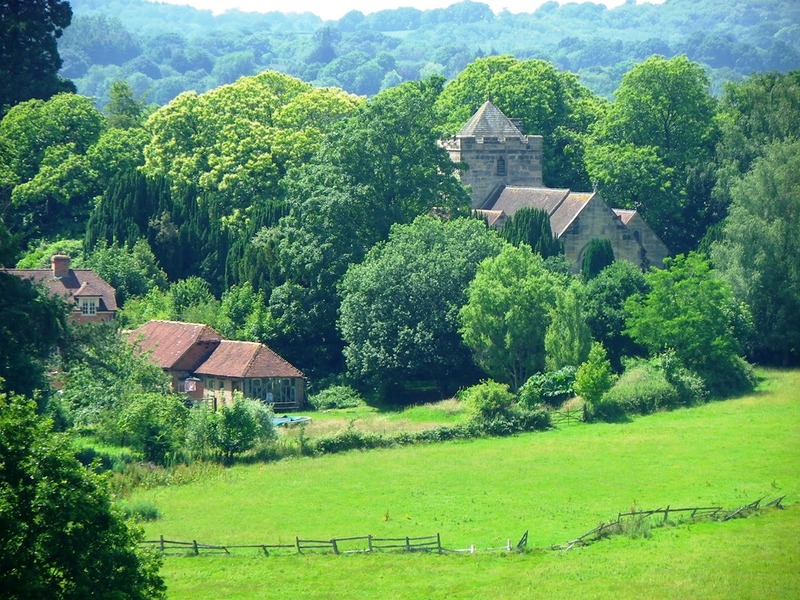 Broad leaved forests lead to Sedlescombe and in the valley is a squat towered stone church set against a backdrop of trees. Great Wood is to the south, Petley Wood to the north and a final steady climb to the rendezvous at ‘the old hoar apple tree’, Caldbec Hill. and collect your ‘walk ‘stickers’. The Pub Blog should be read as a lively and essential travelling companion for anyone in the South-East England who intends to walk 1066 Harold’s Way, Three Castles and an Ironmaster’s House and 1066 Harold’s Way, The Final Journey. Southeastern Trains from London Bridge to Hastings, return from Battle. 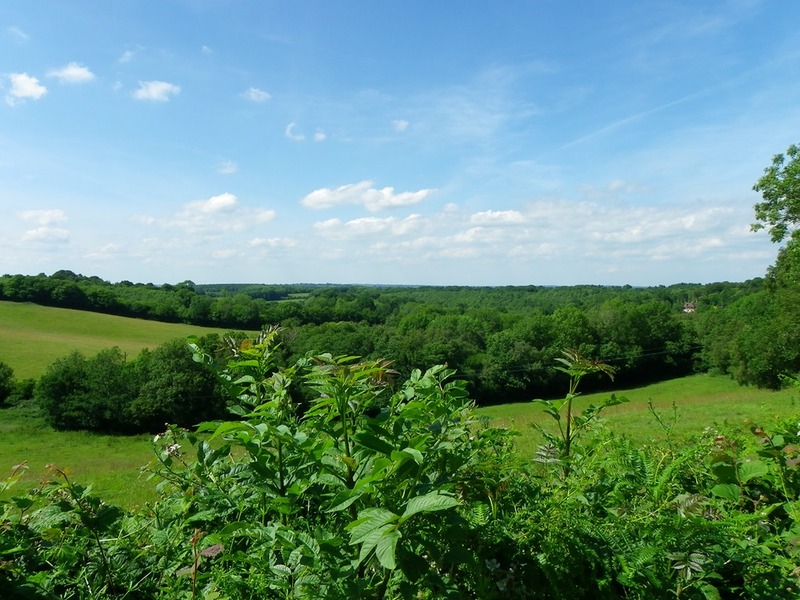 Celebrate the 950th Anniversary of the Battle of Hastings in 2016 and walk 1066 Harold’s Way. 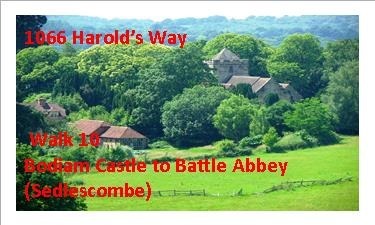 1066 Harold’s Way is a 100 mile long distance walk, accessible by public transport, devised, created and written to follow King Harold II on his epic journey from Westminster Abbey to Battle. There are castles and battle sites, rivers, streams and valleys to cross, forests to forge and hills to climb, Roman roads, green lanes and ancient foot-paths to walk. In 2017, the second walk, ‘1066 Harold’s Way The Final Journey’, will be published. 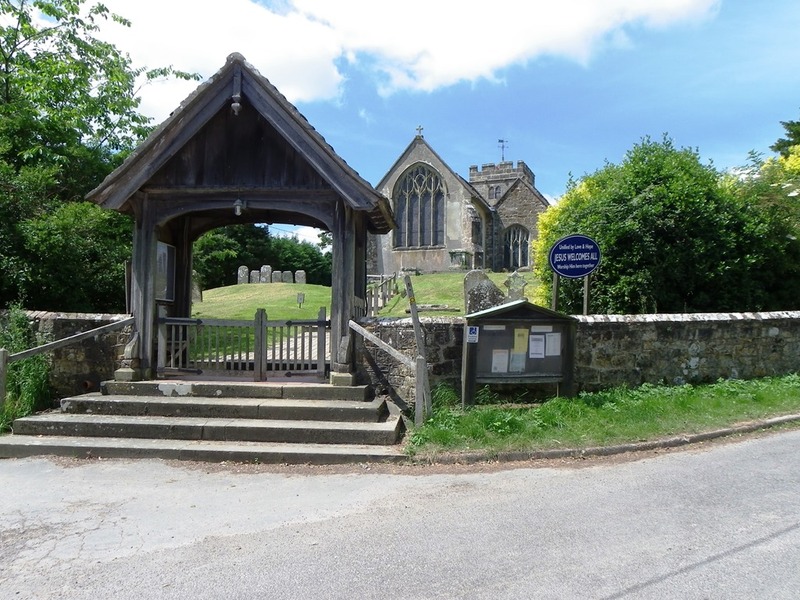 This will be a walk from Battle Abbey to Bosham that will follow the progress of the funeral cortege of King Harold II after the Battle of Hasting. 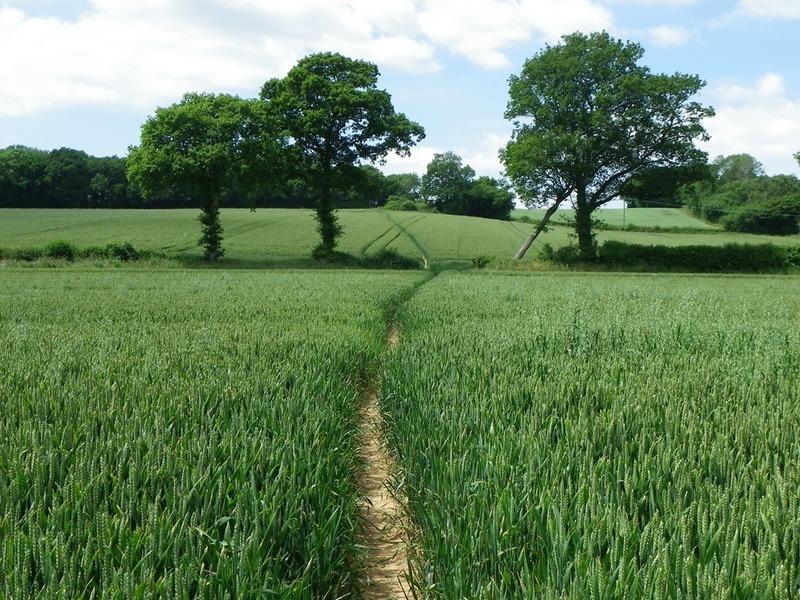 It is a new 80 mile long distance path that will traverse Sussex from east to west, along Saxon trackways and Roman roads that follows a legend that he was first laid to rest at Bosham, near Chichester. It is a good story and a good walk. 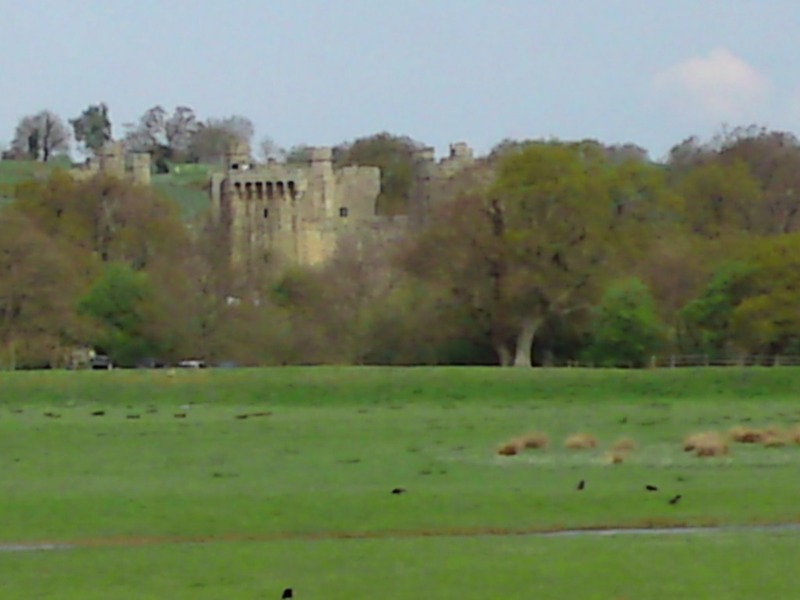 The landscape was so very different in 1066, with heavily wooded hillsides and the tidal estuary extending into the valleys around Bodiam and Sedlescombe – natural hazards to navigate. 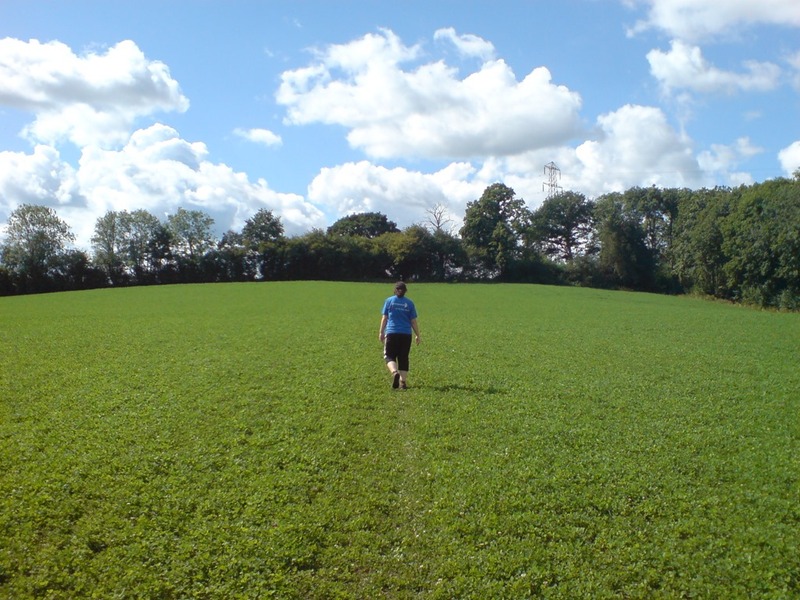 The Roman road passed through Benenden to Sandhurst on the ridge and finally Bodiam. 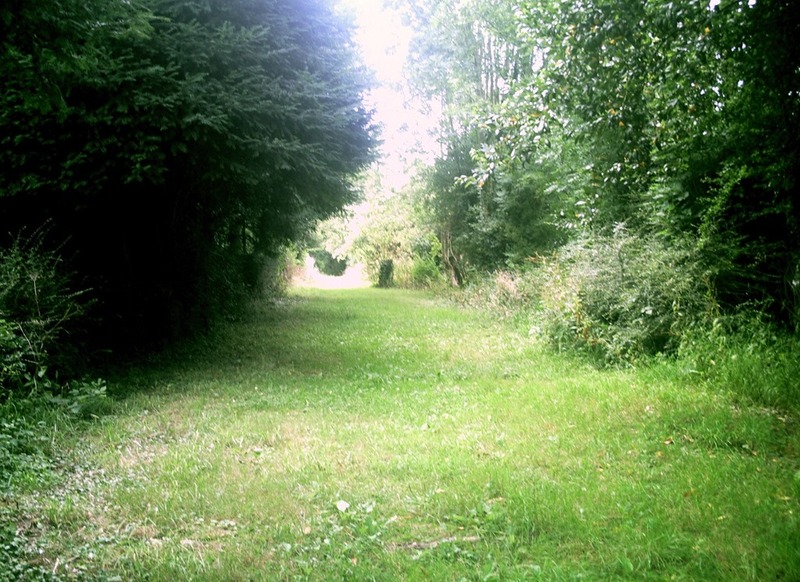 This Roman road is different, green lanes and forgotten sunken tracks, marked by lines of trees, you can look down on the overgrown road and imagine it full of Saxon men, women, horses and wagons, straining, pulling to make headway. 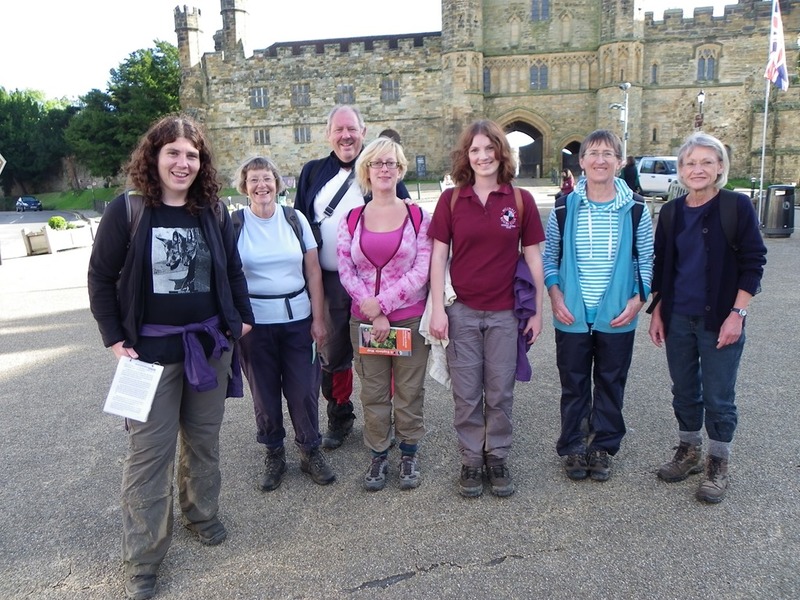 Walk the Roman road from Sandhurst to Sandhurst Cross before the descent into the upper reaches of the Rother Valley to join the Sussex Border Path for the final mile to Bodiam Castle, perhaps the most beautiful castle in all of England. Southeastern Trains from London Bridge to Staplehurst, return from Hastings. Imagine October 1066 and King Harold’s Army on their way to fight the battle, against Duke William of Normandy, that would become known as the Battle of Hastings. In front of the Castle Inn stretched what was left of the Roman causeway that crossed the great tidal Appledore Estuary that seemed to spread as far as the eye could see. Perhaps there was a shimmer on this inland sea and an early morning mist rising into the trees as the sun began to rise in the sky. It was a wild and desolate place and no doubt a strong breeze was already pulling at the water as men and horses prepared for the final few miles to Caldbec Hill. South of the causeway, the old Roman road drew the eyes up the hill between the trees of the forest, an arrow pointing towards the imminent battle. Occasionally, after heavy rain, water can still reclaim this land and we can imagine being back in Saxon times. The army had arrived the night before but sadly there was no Castle Inn for a bit of ‘dutch courage’ – imagine the order, 6000 pints of cider and who wants fish and chips? Formerly known as the Red Lion, it was rebuilt and renamed in 1885 but its roots go back to the 15th century when merchants and tradesmen would have come on business to the castle. 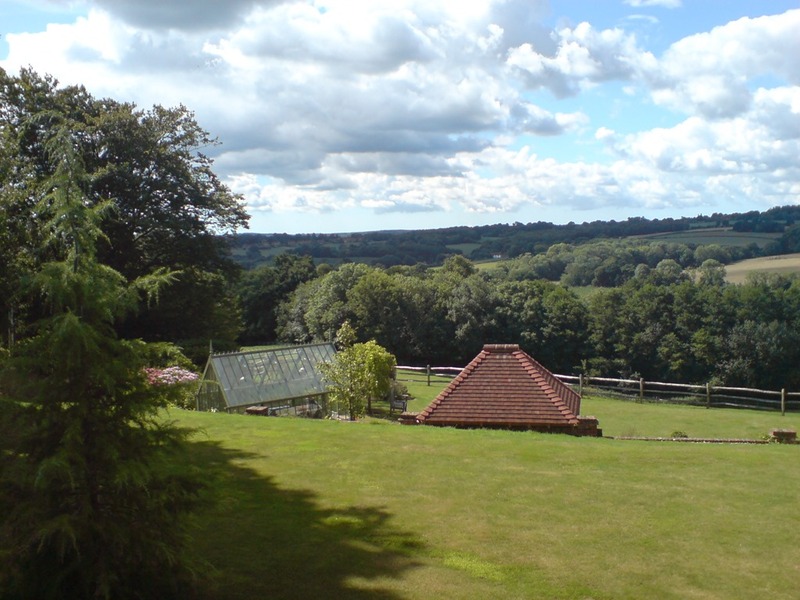 Later, it provided accommodation for visitors to the romantic Castle ruins and for the barges on the River Rother and today, it lies on the path of both 1066 Harold’s Way and Three Castles and an Ironmaster’s House. 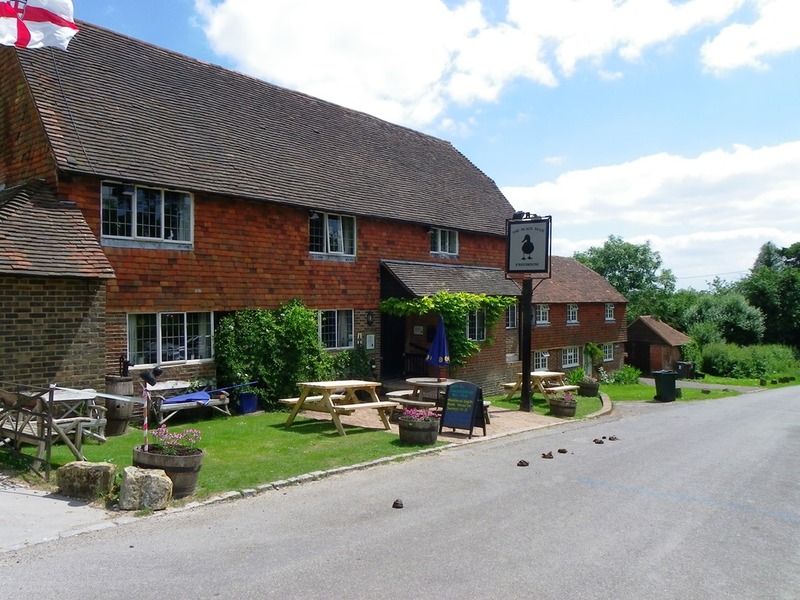 ‘It is a picturesque brick and tile hung pub with a cosy tap room warmed by an open hearth with andirons upon which logs burned in winter and around which were high backed settles’. 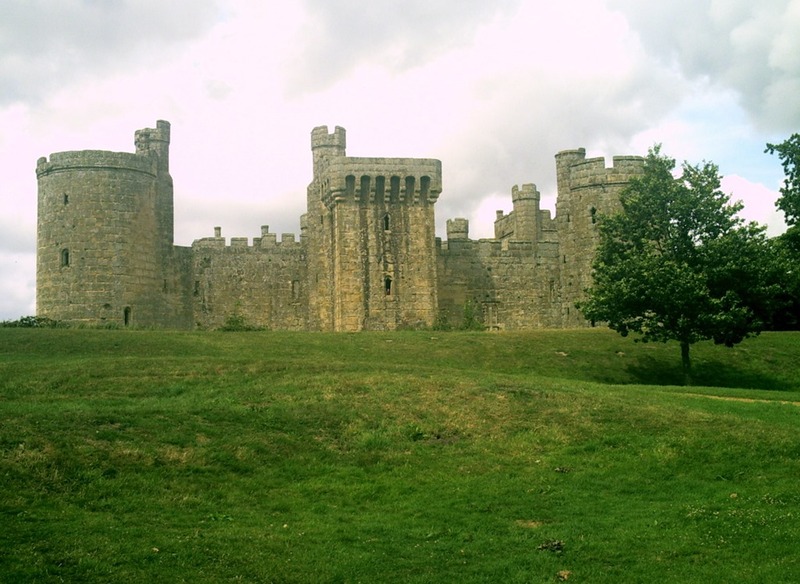 On a July afternoon, Bodiam Castle is busy with visitors and the Castle Inn provides an opportunity to relax. The beer garden is a relief after the walk from Sissinghurst, with views south over the flood plain and in the summer’s haze, you can almost imagine that shimmer of water. 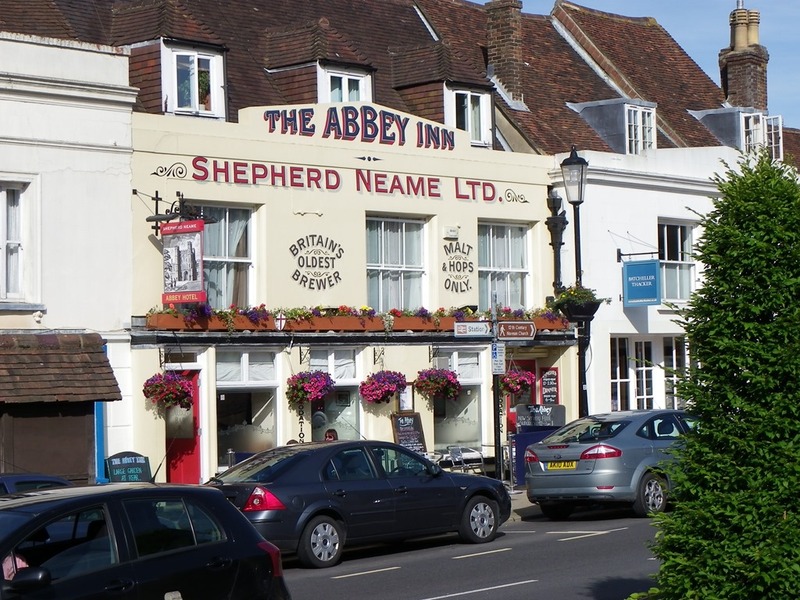 Today, The Castle Inn welcomes you with a range of well-kept Shepherd Neame beers and a good selection of food. It is a good end of walk pub. 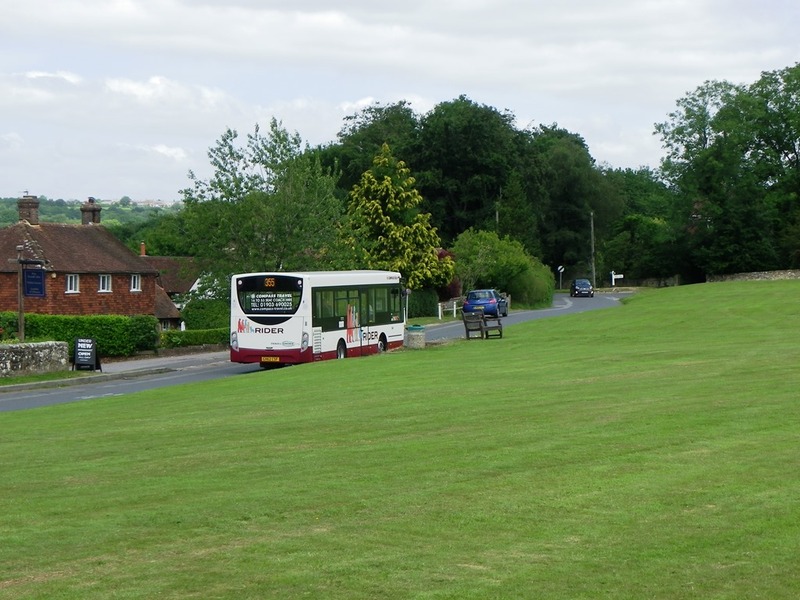 The Stagecoach bus stop for the 349 to Hastings or to Hawkhurst is just by the gate. They run every two hours either way but do check times as the last bus is between 5pm and 6pm and the Sunday service is limited. Taking advantage of this spell of good walking weather and today, putting my trust in public transport, all went smoothly and I stepped off the Compass 355 out on to the Green at Rushlake at 11.50. The 9½ miles would take an estimated 2¾ hours not taking into account stops and route checking, photographs and note taking and the occasional foray off-piste when waymarks disappear. I was looking forward to the final few miles of the High Weald before entering the Low Weald. 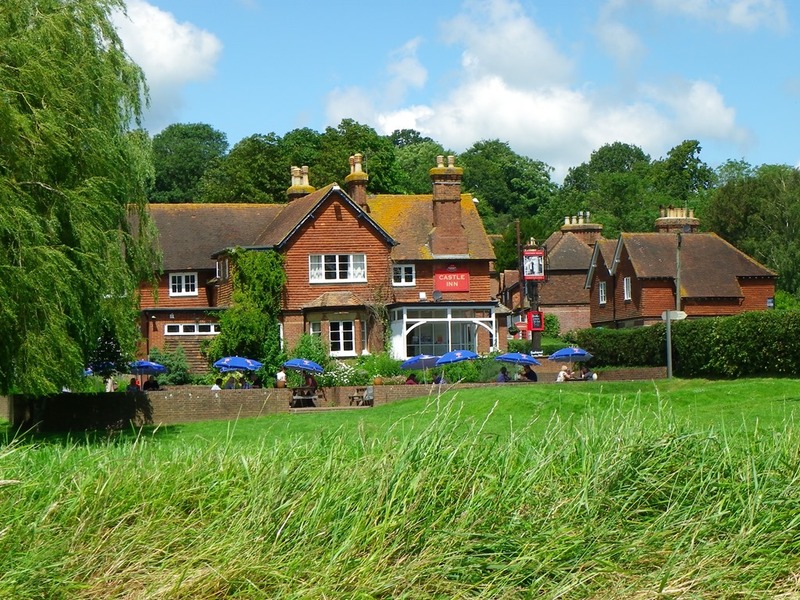 I was intrigued by some of the villages and their pubs, the place names such as Gun Hill and that mile or so along the Cuckoo Trail from Horam. 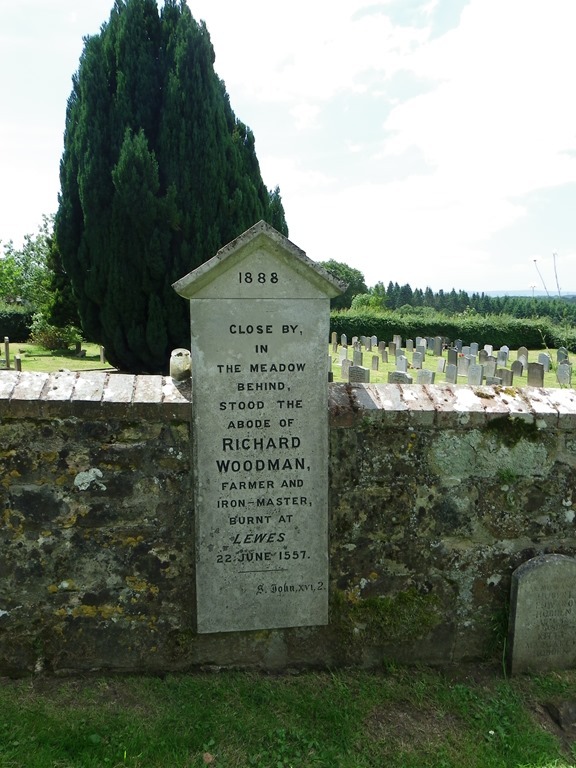 Rushlake Green to Warbleton, past Kingsley Hill, before climbing up to the church opposite The Black Duck (one to come back to later) – the path takes you through the churchyard and at the entrance to the graveyard is a memorial stone to Richard Woodman, Farmer and Ironmaster, burnt at Lewes 1557. Richard Woodman was a Protestant Martyr at the time of Queen Mary and along with nine other martyrs was part of the largest number of people burnt at one time. I will pass The Star Inn, now the Town Hall in Lewes at the end of the next walk and will say a little prayer. 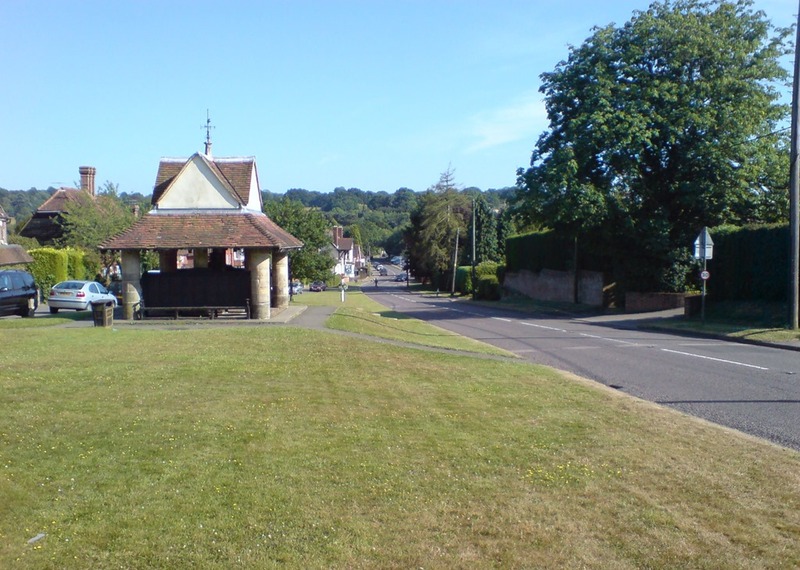 Walking down from the church towards Vines Cross reveals views towards the South Downs and northwards to Heathfield and the prominent church at Old Heathfield. Sandwiches on a bench at Horam, there is a café for future reference, before the Cuckoo Trail and the 5½ miles to Whitesmith. 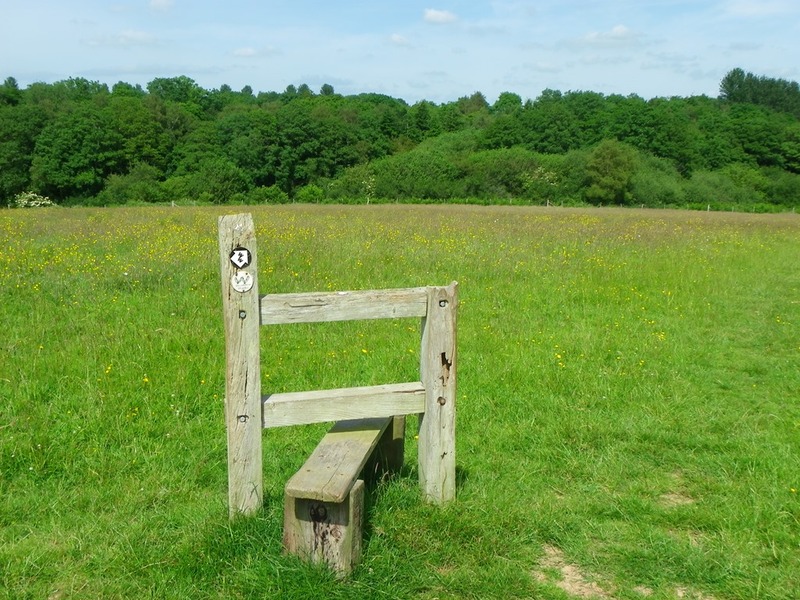 From the Cuckoo Trail it is a short walk through meadows to cross the A267 although the path on the Explorer Map is not quite in the right position and involved just a little tooing and froing to check where I should be walking. 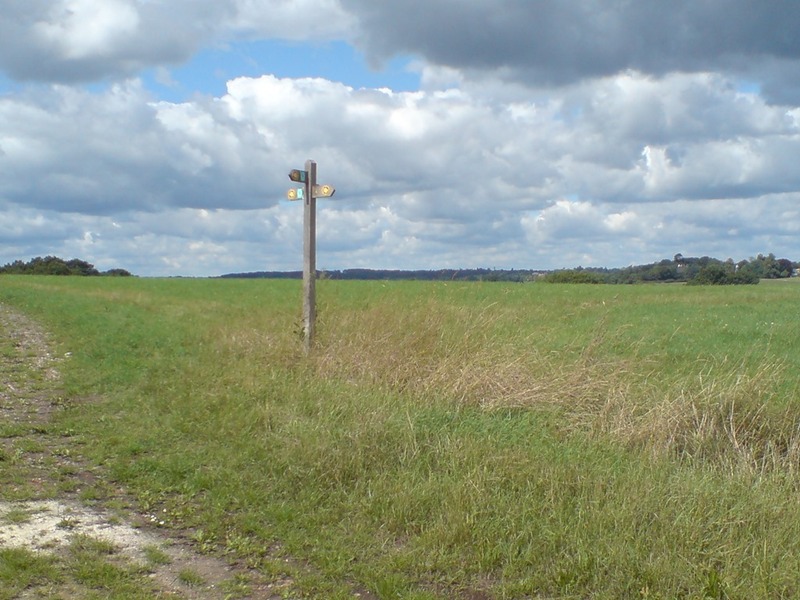 From the A267 to the amazing and old Swanbrook Farm (17thC or before Swan Mill) before taking the path to Gun Hill – I have always been curious about Gun Hill which until now was just a signpost away from the A22. It disappointed a little, the road was busy, the pub was an ‘eating house’ and there was little obvious history about the place – further research proved unrewarding and I can only assume that the Gun relates to canon and guns that may have been produced by the local ironworks. I will be re-routing The Final Journey to a safer path. 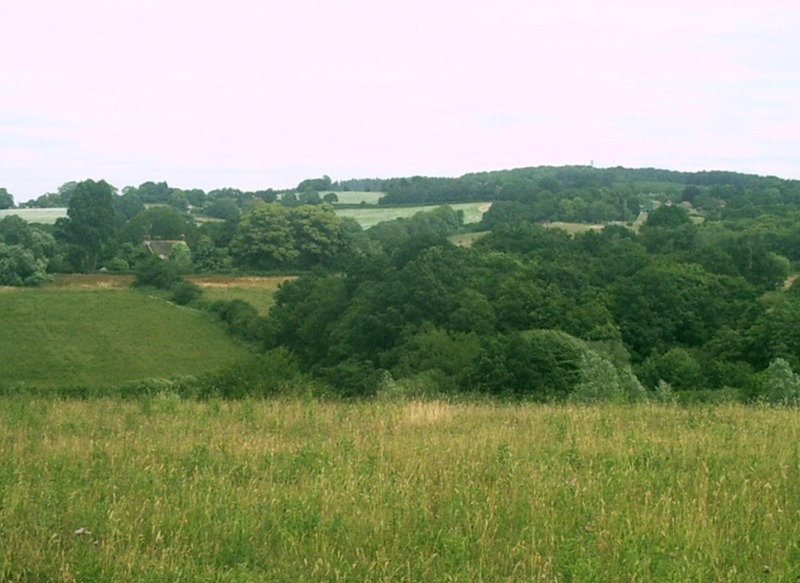 From Gun Hill, the Weald Way takes us to Chiddingly and sadly, I missed the pub completely, the path going through the churchyard and across the cricket field, leaving the Weald Way behind (that goes past the pub!). I met Keith Mitchell from Scotland visiting his father but also taking the opportunity to walk part of the Weald Way, today Buxted to Hailsham. 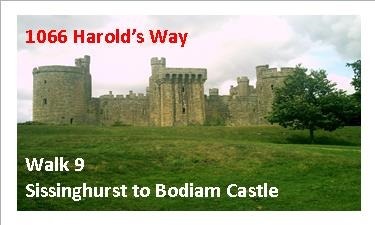 We talked about 1066 Harold’s Way and Three Castles over a gate that would not open – it was a proper Harold’s Way ‘ambush’. Just a mile to Whitesmith, the Bus Stops to Eastbourne and Uckfield Stagecoach buses and my lift, courtesy of Stef who was promised a cider. A good walk, a good pace but Whitesmith will only be a stop on the way to Lewes after all there is nowhere to sit and have a pint. At Chiddingly, I met the verger? who was there to check that the Church wheelchair tyres were blown up and offered me a cup of tea when I got to Whitesmith – regretfully, I said no as I would be sure that my lift was waiting at the main road. I would have had time as the traffic along the A259 towards Eastbourne was horrendous – another time perhaps.